It is amazing how easy it was for these young ladies to model for the camera, most of them had never had a photoshoot where they were the star. Each girl had time in front of the camera and each one shined so beautifully. Children's party, this image came from a young girls dream party. 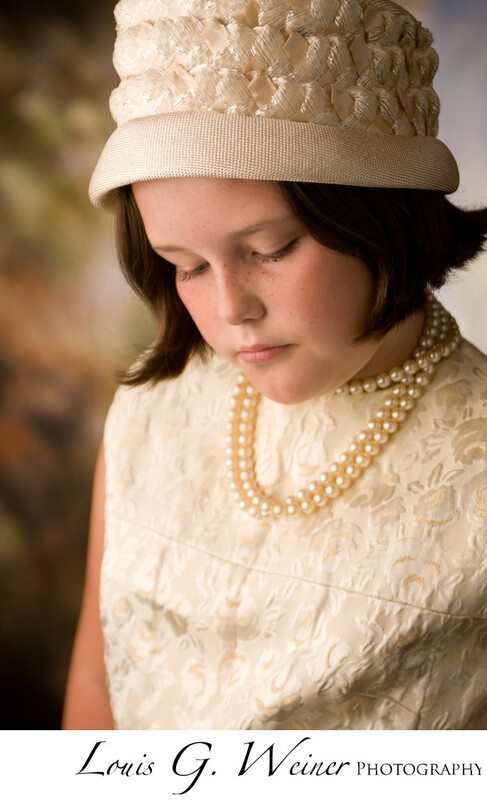 She and her mother asked me for a vintage dress up party with fashion photography of the girls. I provided the clothing, I love vintage clothing stores, and set up lights and a background for them. The young ladies dressed up and played for the camera. I directed them and helped them see how beautiful they are. They had so much fun with the photography many of them just watched each other's camera time instead of doing other party stuff. Kids playing creates so many options for fun images. This type of event / party is custom designed for each persons wishes. Time can be from 2-6 hours. I know 6 hours sounds like a lot of time, but it rockets by when kids are having their photographs taken and getting dressed up and doing make-up (optional). I like to set the camera up so the images pop up on a computer as we take them. It adds hug fun for the kids. Each child attending gets to pick two images to keep (includes minor retouching) and all final images are available at social media size for digital download (no additional cost). A online gallery is included for viewing of images and print purchase. This can be the party or a part of the party, The girls love it, their own day as fashion models. Clothing / theme is up to you.